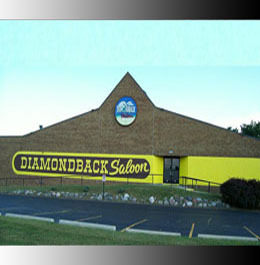 Diamondback Saloon is located on the South 1-94 Service Drive in Belleville Michigan. Great central location with access to many freeways, hotels, shopping centers and Metro airport. Diamondback Saloon Brings You The Best Party!!! Diamondback Saloon is always trying to make our venue the Ultimate Party Destination! Please give us your contact information to keep you up to date on Specials and Contests! Diamondback wants to give you FREE gimmies for your special events!!! 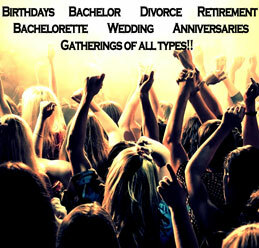 Lets make YOUR PARTY the BEST PARTY! In the Area? 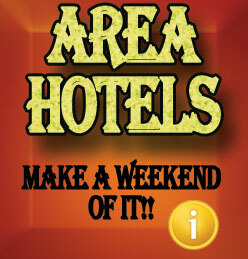 Save Money at Local Hotels!!! Diamondback Saloon is located right down the street from many of the chain hotels and often they offer special discounts for Diamondback Saloon customers. If you are from out of town or just need a place to stay please click the image and call the hotels direct for your special offer!!! Every Wednesday enjoy our awesome $2.25 long neck bottle special all night. Start with a line dance class or two from Phyllis and end with a night of great music and great people!! Come check out some great local groups. Duo's, Trio's, and full bands perform weekly on the Diamondback Stage. Everything from Rock, Country, Pop, and Classic Country plus a few more performed by local musicians plus great ladies drinks specials and of course NO COVER for anyone. Double the Power Hour, $1.00 beers, $2.00 bombs, $2.00 Premium shots and more every Friday night! Derringer on stage with the hottest music out there and DJ Mike spinning great dance tunes in between band sets! Add to that WYCD 99.5 and Cadillac Jack in house and broadcasting live with promo and give-away stuff!! Every Saturday starts with a FREE Line dance class from 7 until 8 and then a FREE 2-Step class from 8 until 9 plus Derringer on stage with the hottest music out there and DJ Mike spinning great dance tunes in between band sets!!! Email addresses gathered here will be added to our mailing list for future newsletters. If you do not want to be added, please state so in your message.